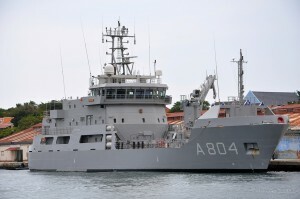 THE HAGUE, WILLEMSTAD - Staff shortages at Defense can lead to pressure on the strength of the armed forces that are stationed in Curaçao, Aruba and Sint Maarten. Chairman Jean Debie of the trade union for defense personnel VBM has been warning for some time about the consequences of the growing outflow for the operational strength of the armed forces. On Tuesday it was announced that 73 navy officers have left in the first quarter of this year, three times as many as in previous years. "If the outflow continues at this rate, the logical consequence is that the units in the West also face occupancy problems. This is not yet the case because the troops are being sent out for three years," says Debie. In the Netherlands, the shortage has already led to the temporary lifting of companies from the Navy Corps and the army. A shortage of personnel in the Netherlands means that the reserve will be smaller, which will have to be used to find a replacement for navy officers in the Caribbean parts of the Kingdom that have to be replaced at the end of their three-year employment period. On the other hand, deployment to Curaçao, Aruba and Sint Maarten is high on the wish list of many navy officers.